Part Number: 9198553. Manufacturer: Vauxhall. Part Number: 93101. Manufacturer: Vauxhall. Genuine used part removed with expert care and tested where possible. Genuine GM VAUXHALL CHEVETTE Astra Cavalier Viva VICTOR Riscaldatore Blower nn. Vauxhall Vectra C Dashboard Display Screen And Vents Not Colour. Condition is Used. Dispatched with myHermes. Part Number 16203804. Northern Ireland. Republic of. Northern Ireland and. 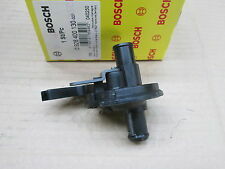 Genuine Vauxhall part in clean condition and good working order. 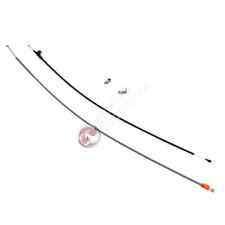 GENUINE VAUXHALL / OPEL AIR FLOW HEATER CONTROL CABLE Part Number: 91160129 Compatibility: VIVARO-A (2001 - 2014) NOTE: The ebay compatibility table above is intended for guidance purposes only. Please check part numbers and/ or contact us with your vehicle registration or chassis number to confirm compatibility. VAT Invoice included 1 Year Vauxhall Warranty Included Thanks!. 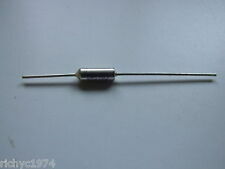 Vauxhall Opel Corsa B, Tigra A comandi genuino del riscaldatore nuovo GM 9198553 6822006. Part Manufacturer GM. Produttore: VAUXHALL. Model Corsa. Manufacturer Opel. Part Manufacturer Number 6822006. MÃ SẢN PHẨM: 1188. Genuine Vauxhall. Good condition and working order. This heater control panel has been tested to be in good working order prior to removal from a 2013 Vauxhall Astra J Mk6. Part Number: 13360099 Please check any part numbers listed are correct for your vehicle prior to purchase. If you are unsure if this is suitable for your vehicle, please contact us with your full registration/VIN number. Part Numbers: 13261831, 6822124. For Vauxhall Corsa D (07-10) Up to Chassis Numbers A4999999, A6999999. Lambda Sensors. Established Since 2000, Genuine Part Search Specialises In Genuine Car Parts. Timing Belt and Chain Kits. PART No - 13360107 / 133 601 07. 2011 VAUXHALL ASTRA J ELITE 1.6. Make - VAUXHALL. Model - ASTRA (MK6). Year - 2011. All of our engines and gearboxes are secured on a pallet and sent with Palletways. VAUXHALL ASTRA G MK4. Suitable for the mk4 Vauxhall Astra from 1998 to 2004, subject to matching part numbers. Suitable for the mk4 Vauxhall Astra van models from 1999 to, 2005 subject to matching part numbers. This item has been removed from a: 2014 VAUXHALL INSIGNIA. Make: VAUXHALL. Model: INSIGNIA. Year: 2014. Fuel type: Diesel. All parts are stamped & removal of the marks will invalidate your warranty. We are unable to cover any labour costs. Part number: GM-13435154. Removed from a 2013 VAUXHALL ASTRA J 3 Door Hatchback. ASTRA 2009 -2018 Mk6 (J). Air Con Yes. Drive Side RHD. Drive Type Fwd. AB30-38, AB44-56, FK17-99, G83, IV1-28, IV30-39, IV52-54, IV63, KW1-14, PA21-40, PH15-26, PH30-41, PH49-50. VAUXHALL ASTRA J 2010-2014 HEATER CONTROL MODULE ECU P/N:13586727. Condition is Used. Dispatched with Royal Mail 2nd Class. REMOVED FROM A 2010 VAUXHALL ASTRA J. Manufacturers Part Numbers Are Used For Reference Purposes Only. All images are for illustration purposes only. 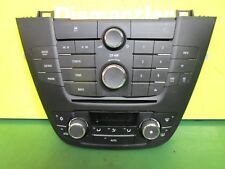 2014 MK3 Vauxhall Zafira C Tourer HEATER CONTOL PANEL ASSEMBLY. Part Number - 13 429 876. Make - Continental. Please make sure part is correct before purchasing. We try to describe our parts as honestly as we can, however please also see our images in case we have missed anything. Any questions please ask. Free Postage (UK MAINLAND ONLY) International buyers please contact us for price and availability of postage to your location. Removed from below vehicle -. REGULARLY DISMANTLE VAUXHALL CARS. WE ARE ALWAYS WILLING TO HELP. PRIOR TO PLACING AN ORDER. Part numbers: 13321292, 13273095. We are Breaking a 2010 Vauxhall Insignia Exclusiv i VVT MK1 (Pre-Facelift). Removed from the car below but may fit other models/years. Shelf location: LD1. Screws, nuts and bolts are also classed as a free gift if included. PART CODE 13138198. VAUXHALL VECTRA C AND SIGNUM 02-08 REG. ORIGINAL VAUXHALL PART. P/N: 13435146. 2014 VAUXHALL ASTRA J MK6. Part No 13326265. Vauxhall, Opel. 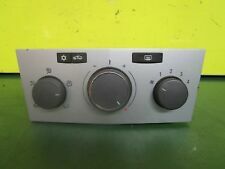 2009 MK3 Vauxhall Corsa D HEATER CONTROL PANEL ASSEMBLY. Part Number - 167 740 100. Please make sure part is correct before purchasing. We try to describe our parts as honestly as we can, however please also see our images in case we have missed anything. Any questions please ask. International buyers please contact us for price and availability of postage to your location. Removed from below vehicle -. P/N: 13360091 / 13360099. 2012 VAUXHALL ASTRA J MK6. This Listing is for: 1X NEXTBASE CLICK AND GO iPAD 2 ACTIVE HEADREST MOUNT FOR VW SEAT AUDI SKODA VEHICLES GENUINE MAY NOT FIT ALL VEHICLES LISTED IN COMPATIBILITY SECTION SO !!!!! PLEASE CHECK PART NUMBER !!!!! OR GET IN TOUCH WITH VIN NUMBER Please provide mobile phone number upon checkout for courier Payment Shipping Returns Compatibility check PaymentShippingReturnsCompatibility check We accept payment through PayPal. If You do not have PayPal account You are still able to purchase this item on eBay with your credit or debit card. Sadly we are unable to process payments by card over the phone. We offer free UK Mainland economy delivery on all items. Please contact us if You wish to get item faster, or please use faster postage option upon checkout. Prisen som vises er unøyaktig. Based Exeter, Devon. we will do all we can to ensure you get the OEM parts you want, at an unbeatable price. We also promise to do all we can when you encounter problems; all you have to do is to ensure that you are buying the correct part from us. We suggest you have a trained technician perform the repairs. Also all part and id numbers will have to match with your vehicles computer. for proof of fitting should any claim need to made. unit in order to work. Zafira B Mk II ( Monocab ) - Fits In Models From Chassis (C)72- and (C)7G- Onwards. Part number: 03758035. Model: ASTRA H. Make: OPEL. HEATED SEAT HAZARD LIGHT SWITCH BUTTON. Year: 2006. Fuel type Car information Part information. We have many unlisted parts in our warehouses. VAUXHALL ASTRA DESIGN ECOFLEX MK5 2009. Moreton Valence. COLOUR:- RED. COLOUR CODE:- Y63U. (All calls & enquiries will be answered during working hours only). ITEM FOR SALE:-. The Old Airfield. Smiths (Gloucester) Ltd.
Vauxhall Corsa C 2001-2006. VAUXHALL CORSA Mk II (C) (X01) 1.0 12V (F08, F68). VAUXHALL CORSA Mk II (C) (X01) 1.2 16V (F08, F68). VAUXHALL CORSA Mk II (C) (X01) 1.2 16V Dualfuel (F08). VAUXHALL CORSA Mk II (C) (X01) 1.2 Twinport (F08, F68). 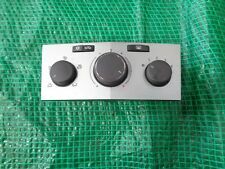 2016 Vauxhall Corsa MK4 (E) (4500) LIMITED EDITION Heater Controls.